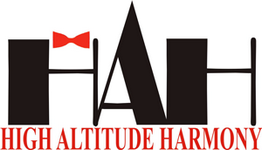 High Altitude Harmony rehearses every Thursday night from 7pm at the Toowoomba Philharmonic Hall at 7 Matthews Street, Harristown, Toowoomba. New faces are always welcome. Our membership currently ranges in age from 23 to 76. Please visit us any Thursday night to have a listen, join us for a song and meet some of the members.